Healthy Pachyveria Opalina Cuttings for sale. Each leaf cutting is carefully wrapped in paper and comes with a label and general growth instructions. 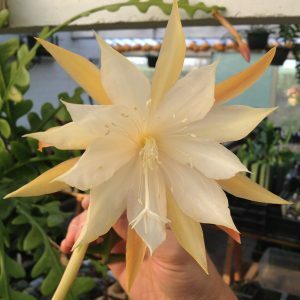 When available we will always try to sent you a cutting that allready has some roots attached or a little baby succulent plant. 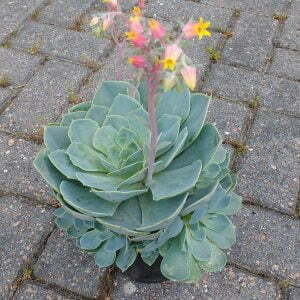 Nice hybrid between Echeveria and Pachyphytum. 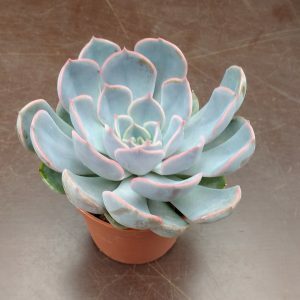 When you give Pachyveria Opalina plenty of light the pink blue colors really stand out. 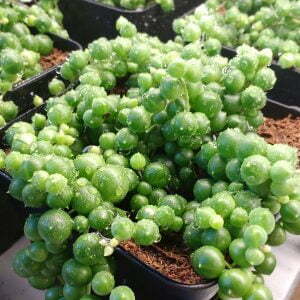 A must have for your succulent collection. Leaf cuttings usually start forming roots and babies after 3-4 weeks. Depending on the time of year. Give the cuttings some shade and place them flat on soil to root or stick them in the soil under a slight angle. 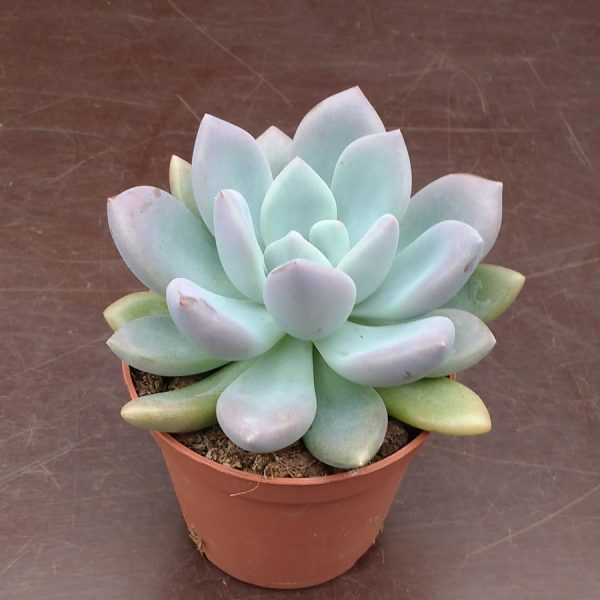 Pachyveria Opaline prefers growth temperatures of 18-24C. The plants go into rest when the temperatures are higher or lower. Reduce waterings when the plant is in rest. My cutting started growing roots after a couple of days after I got it. Super cute plant! I received to big leaves, one had already plenty of roots and a teeny-tiny plant and was ready to be planted! The other leaf also had already startet to grow roots. I’m looking forward to healthy little Opalinas.